If you're outside the library, you may need to enter your library card number and PIN in order to access the database. Este programa electrónico en español, basado en la Red Mundial Electrónica, es fácil de manejar y tiene como propósito ayudar a personas de la tercera edad para que puedan aprovecharse de la Internet. 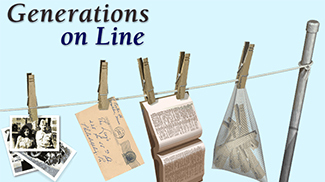 Spanish version of Generations on Line. Informe Académico proporciona acceso a periódicos y revistas especializadas de lengua española y portuguesa. La base de datos ofrece una amplia gama de contenidos sobre América Latina. Informe Académico supports Spanish-speaking researchers with a wide range of full-text Spanish- and Portuguese-language scholarly journals and magazines both from and about Latin America. Use the Topic Finder—a visual search tool—to discover new facets of a topic, or use the Readspeaker text-to-speech tool that allows text to be read aloud. 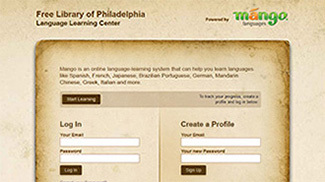 Mango Languages is an online language-learning system teaching actual conversation skills for a wide variety of languages. Find information about the U.S. 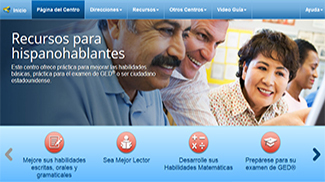 Citizenship test as well as study materials and practice tests.